We all know that HTC's Desire line is for the budget conscious, and now, the Taiwanese giant do away from the "One" moniker with the new budget-friendly device - the Desire 200. 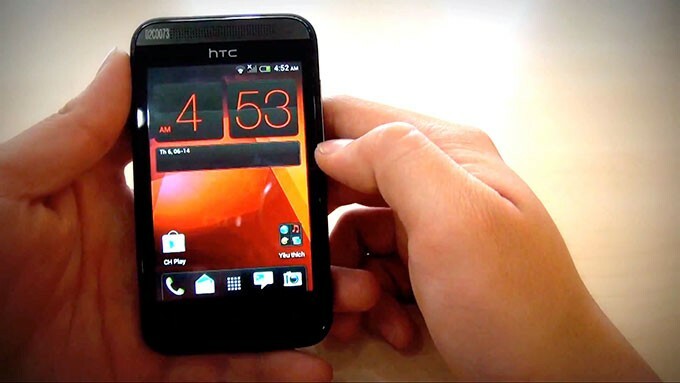 Based on the leaked image below, the new Desire doesn't look like a distant device from HTC's portfolio. However, you can tell that the speaker-grill slash earpiece is borrowed from HTC One and One mini. For the specs-oriented, the Desire 200 throws a 3.5-inch 320x480p resolution screen, a 1400 mAh battery, 512MB of RAM and 4GB internal storage with expandability option. The leaker has not disclosed what Android OS runs this device but from the looks of it (basing on the design) it'll have Android 4.1. The device is expected to be officially introduced with the One mini. And as usual, we'll keep you updated. Update: HTC Desire 200 packs a 1GHz single-core Qualcomm Snapdragon CPU, 4GB internal memory with expandability option with 7 and a half hour of talk time. Battery is rated 1280 mAh with 812-hour standby. When it comes to optics, it has a 5MP f/2.8 fixed focus camera with 34mm lens. Lastly, it is also packed with accelerometer, proximity and ambient light sensors. No pricing and availability yet, and the Android version has not been disclosed.